This is an optional Schelle Racing Aluminum "3 Gear" Vented Motor Plate for the Team Losi Racing 22 3.0 buggy. 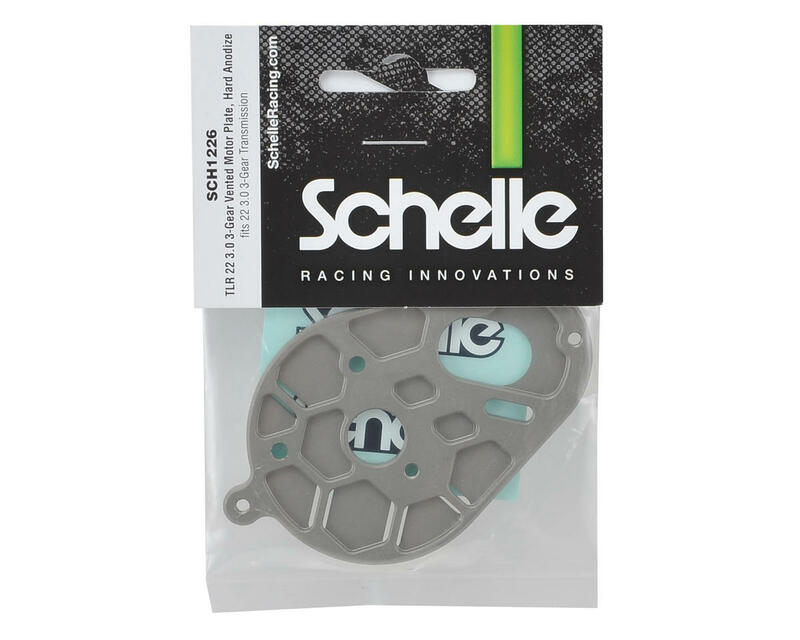 The Schelle line of motor plates are designed with 4 goals. Minimize weight, maximize airflow, maximize rigity, and look amazing. Every bit of unnecessary material is removed, tipping the scales at 12.95g for a B5M (vs. 14.3 for a Factory Lite) and 13.8g for a TLR (vs 18.5g kit 3.0 motor plate). 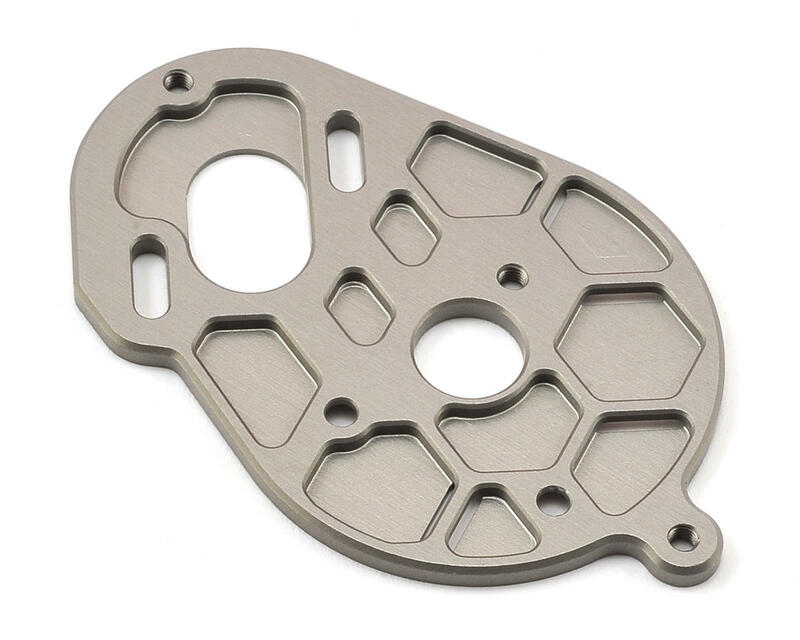 The unique vent slits are machined partial depth on the back side of the motor plate to create 2 tiny slits in the plate. These slits will keep air flowing through, and everything else outside. 100% machined to keep from warping under extreme stress and heat, the plates are finished off with a silver machined edge detail for a premium look. 13.8g for a TLR (vs 18.5g kit 3.0 motor plate). Vent slits machined on backside for added airflow and no pebbles. Vented motor can area for improved airflow through the motor. 100% machined with silver machined edges. Black (SCH1225) and Hard Anodized (SCH1226) versions for TLR 22 3.0 3-Gear.